He was one of the few Jews in Grodno, a Polish city during World War II and now part of Belarus, who survived the war. A strong math student, he studied engineering at the Sorbonne after the war and developed methods for stress-testing airplane wings using plastic films. He later immigrated to the U.S., where he founded Vishay to manufacture stress gauges and a revolutionary kind of electronic resistor that worked under extremes of hot and cold. The resistors found a ready market at the National Aeronautics and Space Administration and in the military and later in computers. Mr. Zandman was born in Grodno, where his maternal grandfather ran a prosperous construction firm and his father, descended from Talmudic scholars, was a chemist with Zionist sympathies. After surviving the first part of World War II as a young slave, Mr. Zandman and an uncle escaped to the countryside where a Catholic family sheltered them for 17 months in a tiny underground chamber along with two other Jews. Quarters were so cramped that they had to take turns standing and sleeping. Occasionally, German troops hunting for Jews would come by with dogs, and their host would confuse them by spreading black pepper around the chamber’s air vent. To while away the hours underground, Mr. Zandman’s uncle taught him trigonometry and higher math by rote. 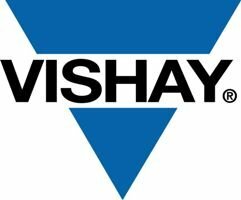 In 1962, Mr. Zandman founded Vishay with financial backing from a cousin, Alfred Slaner, who had found success as manufacturer of Supp-Hose support hosiery. The name, Vishay, came from their grandmother’s village in Lithuania. During the 1980s, with Mr. Zandman as chief executive, Vishay went on an acquisitions spree, creating a broad-based electronics company with sales of $2.7 billion in 2010. The Malvern, Pa., company has manufacturing facilities in China, Israel and several other countries. Mr. Zandman led Vishay’s $500 million 1998 acquisition of Temic Telefunken microelectronics GmbH, a producer of semiconductors and a leading German manufacturer during World War II. When the contract was signed, Mr. Zandman put on a yarmulke and said a blessing, he told the Hebrew popular science magazine Galileo in 2007. 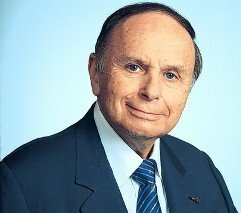 A Zionist since his youth, Mr. Zandman worked on projects with the Israeli military, including helping to develop the cannon of the heavy Merkava tank. He was made an honorary citizen of Israel in 1994. Dr. Felix Zandman, great American and a proud Jew, Blessed Be His Memory. I don’t think Felix Zandman could have imagined buying out a former Nazi era German electronics manufacturer. Its sad to miss such a great American and a proud Jew. Now he finally will be with his entire family again. Very inspiring story. Just think of the many Jews during WW2 had they not been killed might have brought great inventions to the world. Been using Vishay equipment for data acquisition during structural static test for years. Industry standard. I have a feeling that if God allows mankind to invent FTL drive (not the Star Trek technobabble either), I have a feeling that some good Jewish folks will be involved. A life well-lived! We all will continue to benefit from his company’s products and his life. Amazing story. My father is a Holocaust survivor as well and I just participated in the March of the Living with my brothers. We listened to the stories of the four survivors who accompanied us. Every survivor’s story is miraculous and everyone’s story is an inspiration, as my father’s has been. My dad, Adam Ash, was from his town, and Felix mentioned my dad’s name in his book. They still had a bond as every year my dad would receive a Jewish New Years card from him and his wife. Felix if you see my dad, send my love. My Mother, Fannia Galpern-Kobrovsky-Frank-Lubitch, was also a survivor from Grodno and she was also a good friend of Felix Zandman. She is also mentioned in Felix’s book. If possible, I would like to know more about father’s experienecs in Grodno? and did your father know my Mother? I have a notion when the world really become undeserving of the gifts Jews have to give to the world to making it a better place, a more light filled world for everyone’s benefit – HaShem removes our brightest and our best from making their contributions. I do have problems with with cruelty beyond comprehensive endured by our marytred in the Shoah – it is the enemies that should endure such suffering and their progeny not come into being – why is it the Jews who do the suffering? While many, many suffered in WWII – it was the red flag of anti-Semitism that went ignored that brought into place the sufferings of others. Is that pattern to be repeated again? I’ve got a question. What was the nationality of the Catholic family who sheltered mr Zandman?